In this review we feature the best headphones for music and music lovers that deliver superior sound quality. These headphones are engineered to deliver crisp highs, detailed midranges and good bass response – they can enhance your audio listening experience and provide an enjoyable listening experience. Our experts have tested over a hundred different headphones to determine which ones deliver the best sound quality, comfort and design. Furthermore, some of these headphones support wireless Bluetooth streaming which is an added plus for wireless audiophile headphones. If you are looking for the best headphones for music, be sure to check out our top picks below! 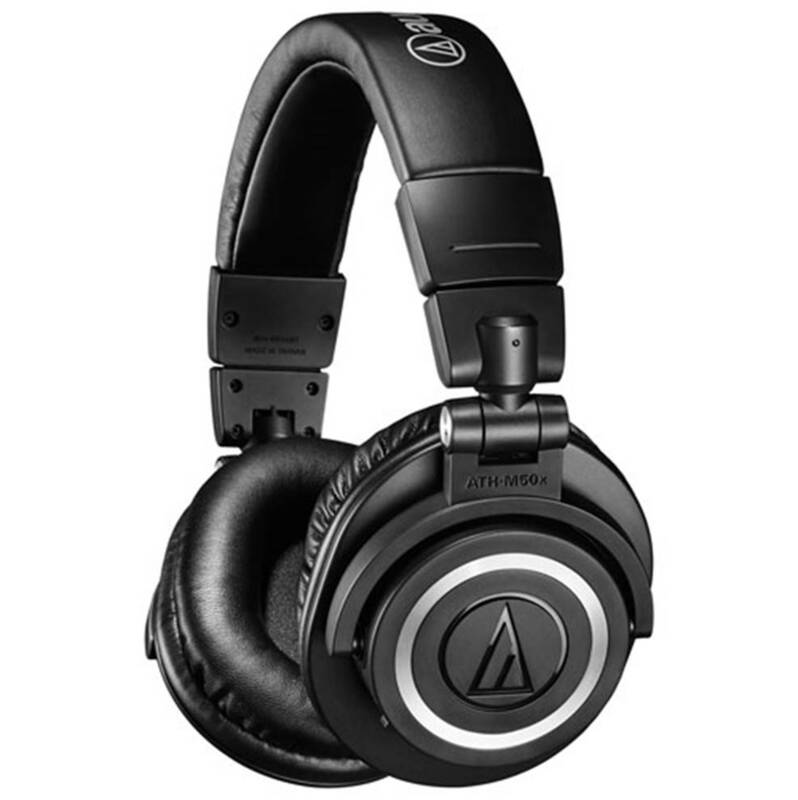 The Audio-Technica ATH-M50x is one of the best headphones for music that we have tested. It is one of the few headphones that provide full-range sound quality with crisp highs, detailed midranges and deep bass, while staying true to the audio recording. 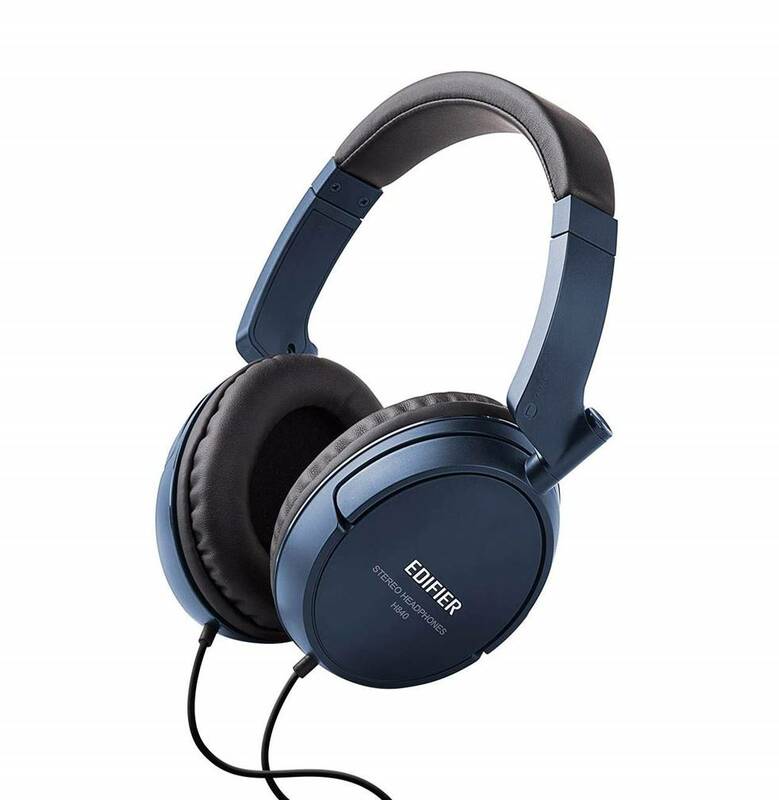 This headphone is equipped with 45mm drivers and has a wide frequency range between 15 to 28 kHz. They are wireless Bluetooth headphones that come with the same critically acclaimed sonic performance as the original ATH-M50x drivers, and have a battery life of over 40 hours. The ATH-M50x comes with touch control features with voice assistant, together with mic and control buttons built into the earcup for easy handling of calls and music playback. The over-ear design provides excellent sound isolation in loud environments and the headphone itself feels very comfortable to wear with lasting durability and comfort. We liked the fact that the ATH-M50x has proprietary 45mm large-aperture drivers which deliver exceptional clarity throughout an extended frequency range, with deep and accurate bass response. The ATH-M50x headphones come with a 30 cm USB charging cable and carrying pouch for portability. The internal battery takes approximately 7 hours to reach a full charge on the USB charger. The Sennheiser HD280s are some of the best headphones for music that can reproduce accurate and crystal clear sound. These are dynamic, closed-ear headphones that feature a lightweight and comfortable ergonomic design with circumaural cans that go over the ears. The HD280 headphones deliver extended frequency response and warm natural sound reproduction. These headphones have a wide frequency range and a nominal impedance of 64 ohms and a pressure level of 113 dB. They work best when connected to a portable headphone amplifier to driver the internal drivers in the headphones. The sound quality of the HD280s is excellent – it delivers accurate linear sound reproduction that allows you to hear vocals, dialogues and music with great clarity. They are great for classic, instrumental and vocal performances with detailed separation. The HD280s come with around the ear padded ear cups that provide up to 32 dB attenuation of outside sound. It also comes with folding and rotating earcups for space-saving transport. The headphones come with a tough, single-sided cable for easy connectivity. It’s a durable and dynamic closed-back headphone that performs very well in terms of sound quality and we highly recommend them. 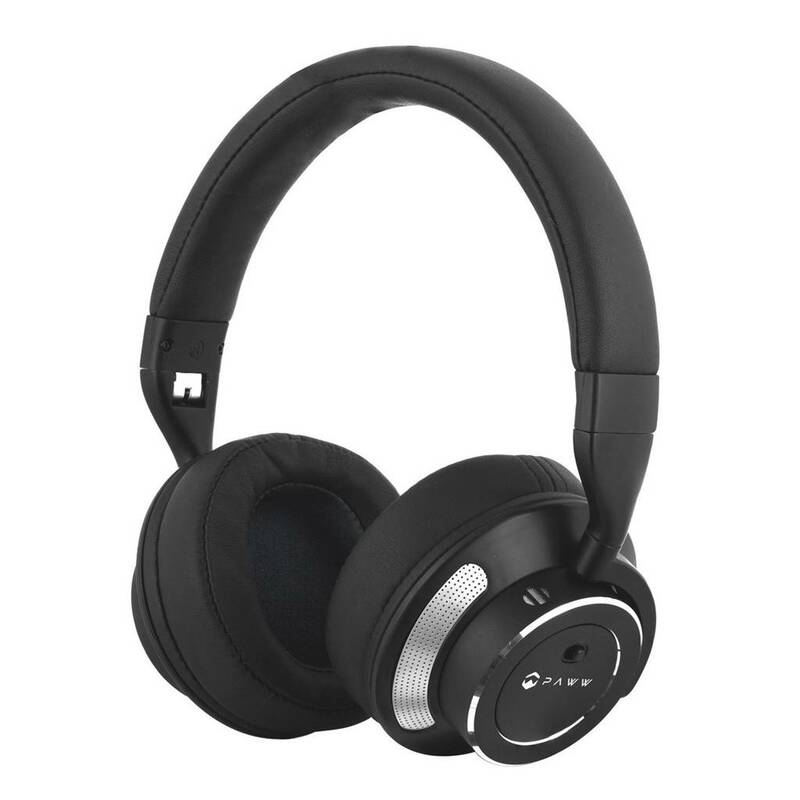 The Edifier H840 are some of the best headphones for music and are designed to deliver professional sound quality. It comes with 40mm driver units which are fine tuned for quality sound output in enclosed ear cups. They are extremely comfortable headphones that come with ergonomic fit and over-ear design with a lightweight body. We also liked the fact that they have comfortable soft leather earmuffs that reduces ear fatigue after long periods of wearing. The H840 has a solid build with leather headrests and feature steel reinforced headbands for flexibility and durability. The H840 headphones provide a well-defined sound experience; it has an electro-acoustic unit on the basis of the coil which provides lifelike and natural sound. The sound is carefully calibrated between the treble and bass notes which make the H840 great for monitoring music and sound quality. We liked the fact that the H840 headphones come with 3.5mm gold-plated audio plugs with 6 feet high strength cables. The headphone itself is very sleek and lightweight, which makes wearing them a breeze. If you are looking for a performance headphone with 40mm drivers to appreciate your music, we highly recommend the Edifier H840s. The Skullcandy Crushers are some of the best headphones for music and deliver incredible bass output. The headphone comes with dual driver immersive technology which utilizes two full range 40mm audio drivers and two additional subwoofer drivers that work together to deliver an immersive audio experience with powerful bass. The headphone has adjustable haptic bass levels that allow you to fine tune your bass experience to achieve audio balance. The headband and cans also provide passive noise isolation that improves the lower-end frequency response. The frequency range on the SkullCandy Crushers is 20 Hz to 20 kHz. 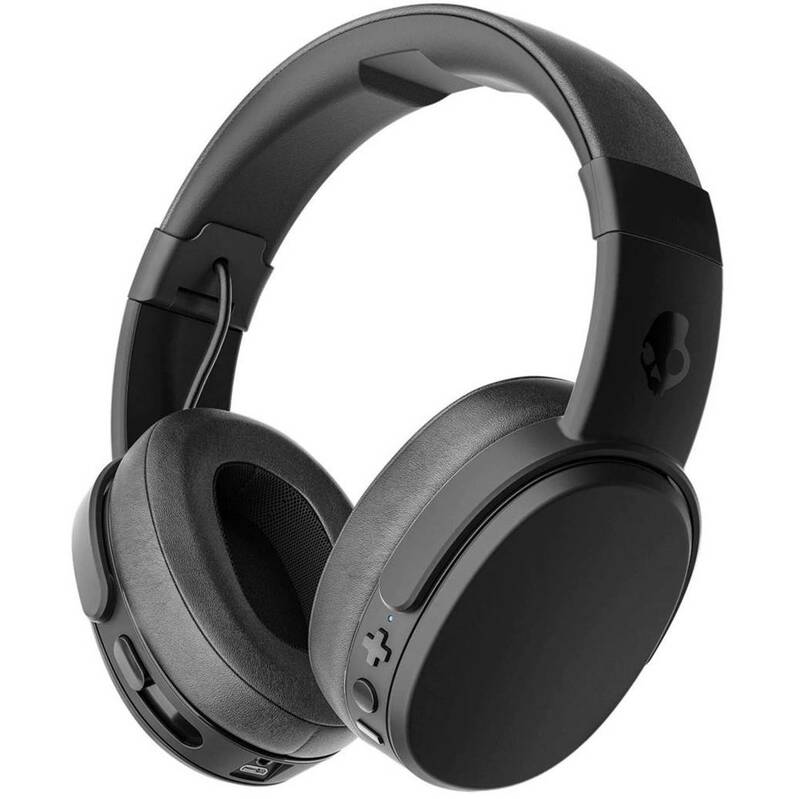 We particularly liked the fact that the Skullcandy Crushers provide wireless freedom and Bluetooth functionality with up to 40 hours of rechargeable battery life. The sound performance on these headphones is very crisp and clear, and music performances sounded very enjoyable to listen to. It provides refined acoustics and custom tuned drivers that complement the bass and blocks outside background noises from entering. These headphones also come with a built-in microphone and on-ear buttons that allow you to answer calls, change tracks and adjust volume directly from the ear cups. The Crushers feature rapid charging technology which provides up to 3 hours of listening with 10 minutes of charging time, and reaches a full charge in under 2.5 hours. The Avantree headphones are some of the best headphones for music designed for low-latency sound transmission. They have virtually no audio delay while watching TV or PC and work well with any apt-X supported Bluetooth transmitted for minimal audio delay of 32-40ms for a lag-free audio experience. Furthermore, these headphones are designed to provide superior hi-fi sound for superb music and voice clarity. It also comes with a built-in bass boost feature that allows you to tailor your audio experience for TV, music and PS4, xbox or PC with rich lows and clear trebles. In terms of music performance, the Avantree headphones really deliver crystal clear sound and are great for audio and music lovers. We liked the fact that the Avantree headphones have long battery life and dual modes. They provide up to 40 hours of music playtime in wireless mode, and allows you the option of using the 3.5mm cable to switch to a wired connection and watch TV or your phone without draining any battery at all. You can also change from wireless headphones to wired headphone modes easily. 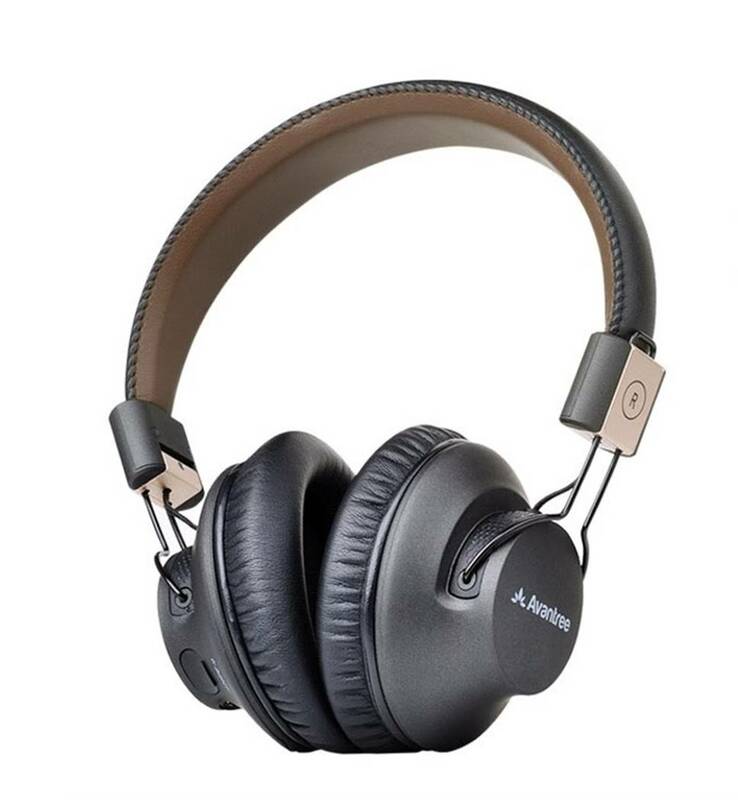 The Avantree headphones are comfortable and super light – they come with super soft earpads and an easily adjustable headband that provides a comfortable and customized fit. The Avantree headphones also support multi-point connectivity – you can connect two phones simultaneously and take calls straight from your phone. It also supports NFC technology and intelligent voice prompts which clearly identifies the status of the headphones. It also supports aptX stereo for high quality music streaming. They are some of the best headphones for music lovers and have a vibrant and crisp sound signature. The AKG K240 are some of the best headphones for music and studio monitoring that provide natural and well-range sound performance. 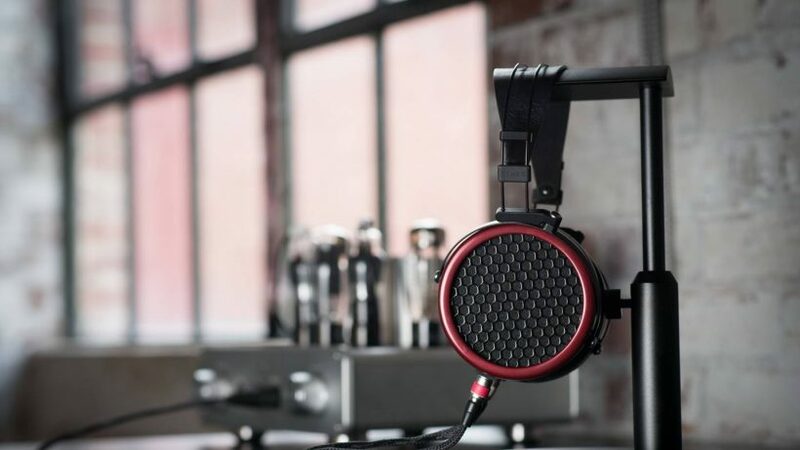 They are essentially professional studio-grade headphones with a semi-open design and a 3m replaceable cable. This low impedance 55 ohm headphone version provides much higher volume when used with portable studios, keyboards and drum machines. The AKG K240s feature an integrated semi-open design with highly accurate dynamic transducers for naturally open sound quality, and circumaural pads for hours of wearing comfort. We liked the fact that the AKGs have a wide frequency range between 15 Hz to 25 kHz and are capable of picking up minor details in the music. 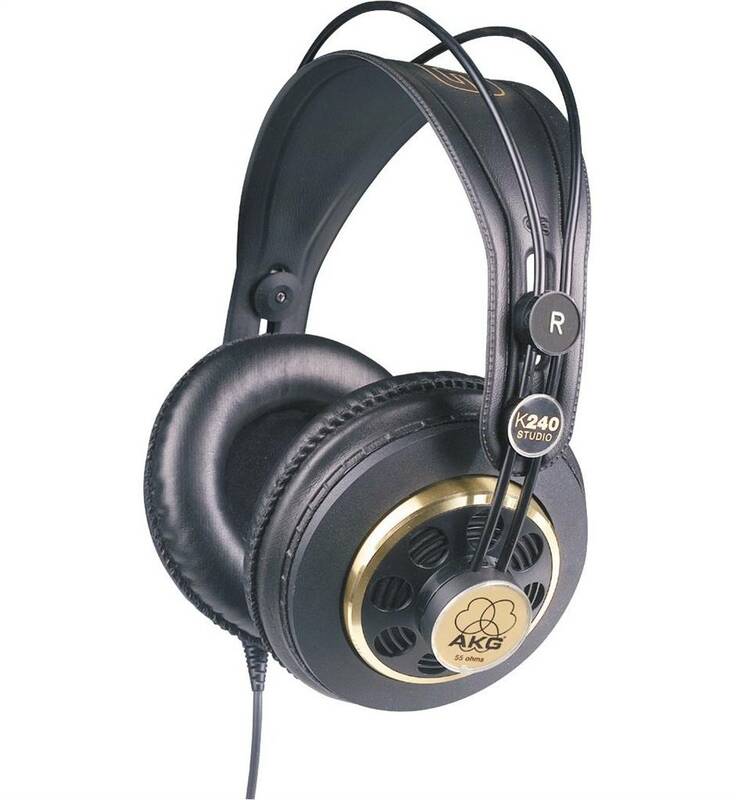 The AKG K240 headphones come with a plug-in cable and self-adjusting headband for optimium fit. The semi-circumaural design provides a wider listening soundstage and allows you to listen to every detail in the music naturally. The integrated semi-open air design incorporates a highly accurate dynamic transducer and an acoustically tuned venting structure behind the headphone which delivers naturally open sound quality. We also liked the circumaural pads which are designed to provide hours of wearing comfort, while the steel cable and self-adjusting headband construction ensures extended reliability and durability. The extra-larger transducers in the acoustically tuned vented enclosures envelop your ears with immersive sound quality, providing smooth, solid bass and well-balanced midranges and highs. If you are looking for one of the best headphones for music that can really bring out natural sound quality in your music, the AKG K240s are a great choice. The Sony WH1000XM3 is one of the best headphones for music with superb noise cancelling functionality in addition to crystal clear sound. These are industry leading noise cancelling headphones that block out virtually all background noises and allow you to appreciate the finer details in your music. The Sony headphones delivers premium sound quality from its 40mm liquid polymer drivers with crisp highs, detailed midranges and very good bass response. It also provides up to 30 hours of battery life with quick charging functionality (10 min charge for 5 hours of playback). The Sony headphones deliver smart listening technology and provide really good soundstage with cinematic effects; they are great for classical, instrumental and vocal performances where you can really hear the music with crystal clear clarity. The noise cancellation feature is an added plus, and allows you to enjoy your music without any background distractions. The Sony headphones have come with multiple features that enhance the overall user experience. It features quick attention modes for effortless conversations without requiring you to take off your headphones. It also has touch sensor controls to pause/play and skip soundtracks, control volume and active your voice control assistant while answering phone calls. The Sony headphones are also ergonomically redesigned for all-day comfort at its best, and can be worn for long periods of time without feeling any discomfort. The entire setup comes with the WH1000XM3 headphones, carrying case, charging USB cable and audio cable for wired connectivity. The Beyerdynamic DT 770s are some of the best headphones for music that provide true classical stereo sound with bass-reflex technology. 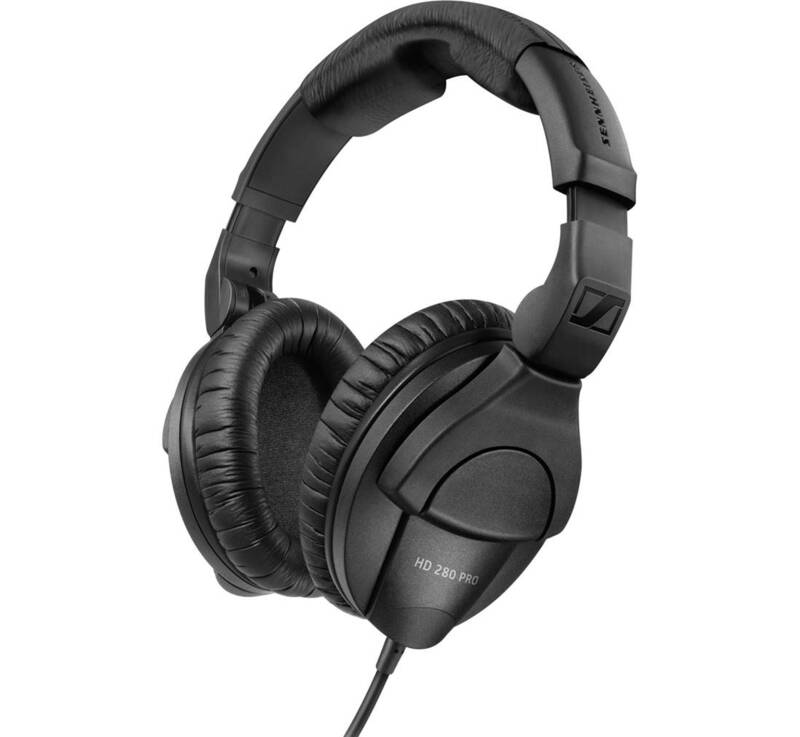 It features a closed over-headphone headphone design for professional mixing in the studio, and are ideal for studio recordings due to their pure and high-resolution sound performance. The sound quality on the DT 770s is immersive and clean, with crystal clear highs, detailed vocals and decent bass performance. We also liked the fact that the DT 770s have soft, circumaural and replaceable velour ear pads that provide a comfortable listening experience. The headphones also block out external noises and provide decent noise isolation. The DT 770s are durable and made in Germany, and come with a practical single-sided 3.0m cable. In terms of sound performance, the DT 770s does bring provide high-fidelity audio performance that stays true to the entire audio recording with a transparent sound signature. 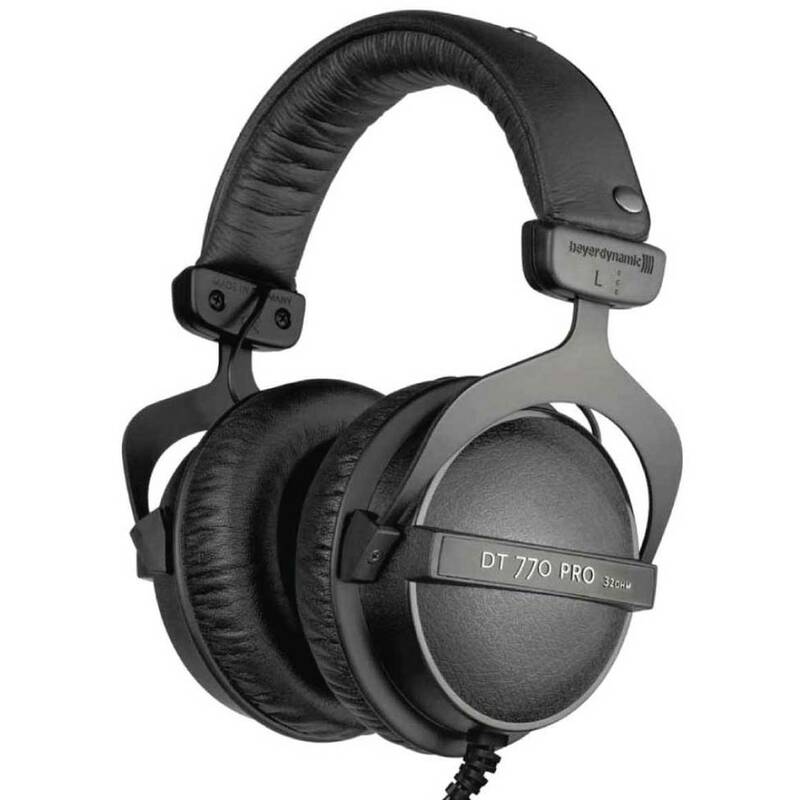 The DT 770 Pro headphones are closed-back headphones with sound dispersion fields and bass reflex technology which helps to enhance the low end frequency reproduction. It has a robust build quality that is easily serviceable and extremely reliable. That being said, do note that the DT 770s need to be powered by a portable headphone amplifier as they have an impedance of 250 ohms – the headphones are great for mixing in the studio. The level of musical detail that the DT 770s reveal in music recordings is exceptional; they also have ultra-low bass sounds which hit hard and add a layer of complexity to music performances. The high frequencies are translated to an analytical, clear and differentiated sound with good spatial imaging. Overall, these are some of the best headphones for music with great sound quality and we highly recommend them. The Paww WaveSound 3 are some of the best headphones for music and designed for travelling. The headphone comes together with an airplane adapter and an auxiliary cable, making it very convenient for travelling. We liked the fact that you can hook up the headphones up to the viewing system on an airplane to watch the movie or shows that is playing or plug them into your laptop or smartphone to watch movies. The sound quality of the Paww WaveSound3 is really good, with crystal clear highs, detailed midranges and smart tuning technology. The bass response on the Paww WaveSound 3 hits hard, and rock and pop music genres sounded very enjoyable to listen to. If you are a fan of electronic dance music genres, we definitely recommend checking out these headphones. 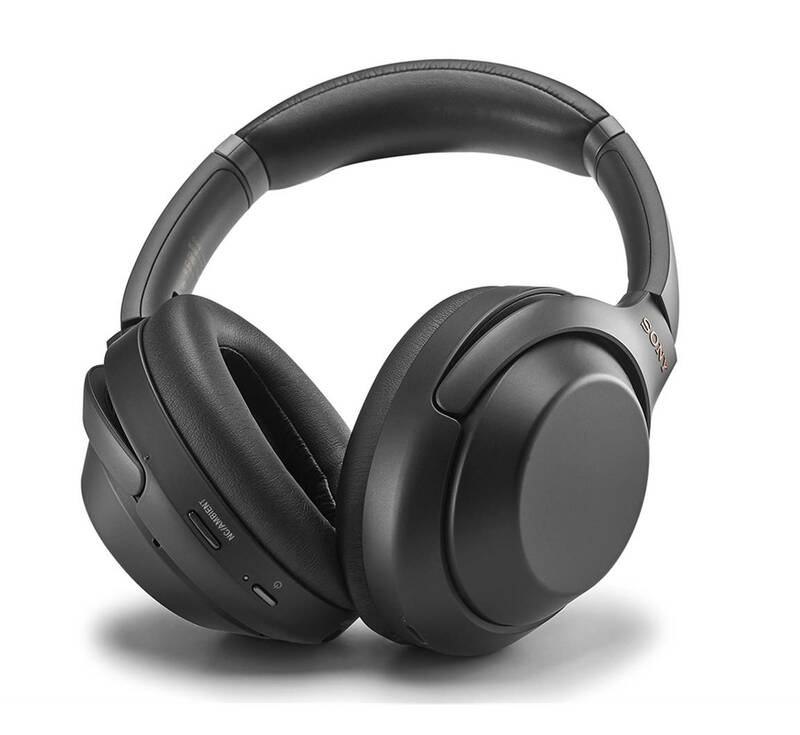 Apart from the sound performance, the Paww WaveSound 3 uses Bluetooth 5.0 for fast and reliable connectivity – it boasts 4x the range, 2x the speed and 8x the broadcasting message capacity of older headphones and ensures that you receive high quality sound transmission. These headphones also come with their own pair of travel friendly storage and carrying case for easy portability. We liked the fact that you can connect multiple devices simultaneously to these headphones – it features a built-in microphone and advanced Bluetooth 5.0 feature to keep you connected to multiple devices at once. These rechargeable Bluetooth headphones come equipped with a rechargeable battery as well as a micro-USB charging cable which is easy to charge on the go. It also comes with an included auxiliary cord that allows for use with a smartphone or laptop device. The HyperX Cloud II is one of the best headphones for music and gaming that provides 7.1 virtual surround sound. These headphones provide really good full-range sound performance for music performances, and deliver great sound effects for cinematic movie scenes. These headphones come equipped with 53mm drivers with neodymium magnets for high quality music transmission. It also has a circumaural ear-cup design that feels very comfortable over the ears. 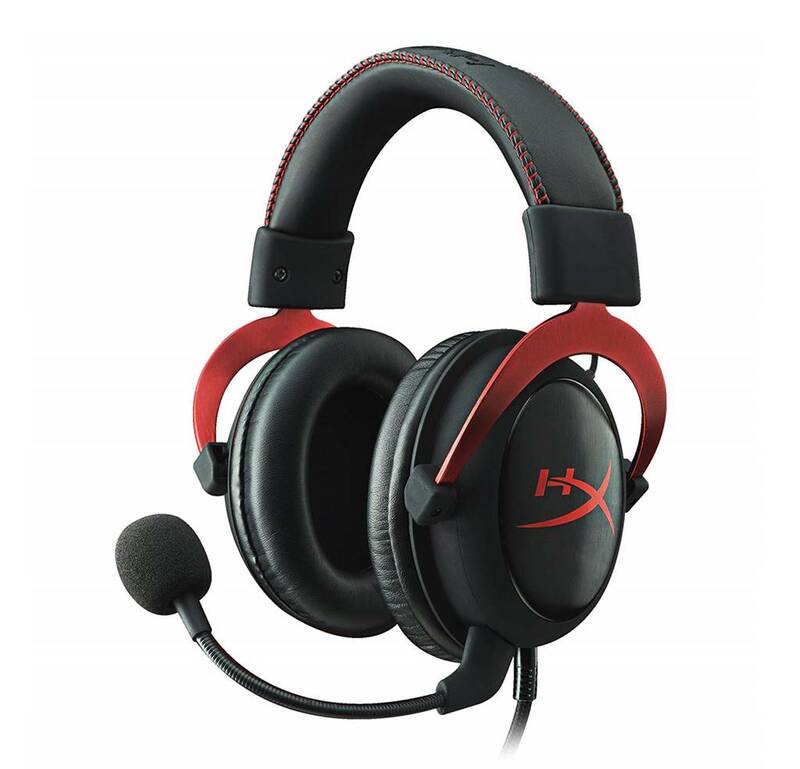 The HyperX Cloud headphones has a noise cancelling microphone via inline sound card, and a wide frequency range between 15 to 25 kHz. The circumaural design provides good sound isolation and blocks up to 20 dB of background noises. We also liked the fact that the Hyper X headphones comes with memory foam ear pads with extra set of velour ear padding and a detachable microphone. The microphone is even TeamSpeak certified and optimized for clarity. The Cloud II headphones are designed for gamers, but can produce excellent 7.1 surround sound around the ears. It delivers vibrant sound effects with distance and depth to enhance music, gaming and movies. These headphones are essentially plug and play and no additional driver is required. The noise-cancelling microphone comes with an automatic gain control and echo cancellation enabled through the sound card for better voice quality and reduced background noise. We particularly liked the 53mm drivers which deliver rich lows, crystal clear mids and crisp highs with enhanced bass response. We would say that the HyperX Cloud II has a fun sound signature, with a tendency towards a V-shaped frequency range that enhances the low-end and highs. Apart from the excellent sound performance, the Cloud II headphones connects to PCs and Macs using USB, and is 3.5mm stereo compatible with other devices. You can also easily toggle the surround sound 7.1 syste, on or off with a touch of a button depending on your music preferences.